Mary Kate (an alias used to protect privacy), an employee at Augusta Health, and her family fell on hard times when her husband lost his job due to illness. The couple has four children. The husband’s income paid for rent and child care, and the Augusta Health employee’s income covered groceries and other basic needs. Without both incomes, the couple had fallen behind and needed help with one month’s rent. The Employee Emergency Fund at Augusta Health provided $500 to the employee so that the family could pay their rent. The husband has found a job, and the couple is back on their feet. When an employee at Augusta Health encounters an unexpected crisis—such as an unexpected death in the family, a spouse’s job loss or serious illness—they can apply to the Employee Emergency Fund for support. The fund is unique because it has been created by Augusta Health employees to help each other. When money is requested from the fund, all identifying information is removed from the application for confidentiality while it is reviewed and evaluated by the Employee Emergency Fund Committee, which is staffed by peers and co-workers. After the Committee approves the request, the funds are given to the employee. Each year during National Hospital Week in May, one of the activities at Augusta Health is the Employee Campaign Fund for Augusta Health Foundation. Employees view the annual Campaign as an opportunity to support their neighbors and community through contributing to funds that provide for new and expanded programs and technology at Augusta Health. It’s also an opportunity to contribute to funds to support patient care and nursing education—and an annual opportunity to make contributions to the Employee Emergency Fund. This year, Augusta Health’s Employee Campaign for the Augusta Health Foundation will run from May 11 through May 15. “We are fortunate that our employees at Augusta Health are skilled medical professionals, and we are very fortunate that they are compassionate and caring individuals who are willing to help colleagues and neighbors in times of need,” added Radecke. Augusta Health Foundation is the philanthropic arm of Augusta Health, an independent, nonprofit community hospital whose mission is to promote the health and well-being of our community through access to excellent care. Named one of the 100 Top Hospitals in America by Thomson Reuters in both 2011 and 2012, Augusta Health has also been nationally recognized by HealthGrades as one of America’s 100 Best Hospitals for clinical excellence and patient safety for the last three consecutive years, and has been name one of America’s 50 Best Hospitals in 2015. 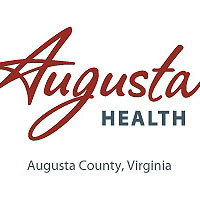 For more information about Augusta Health, its programs or its services, please contact Public Relations at 540.245.7329 or visit our website, www.augustahealth.com.